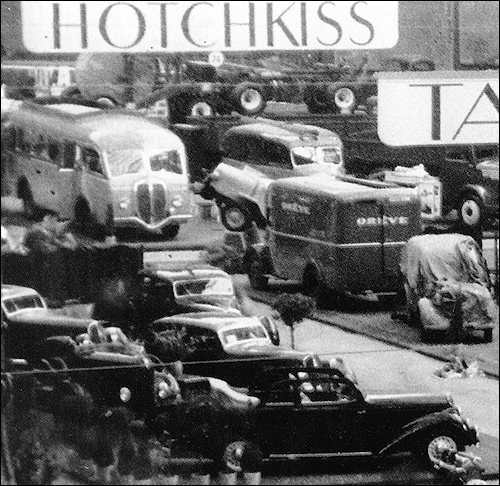 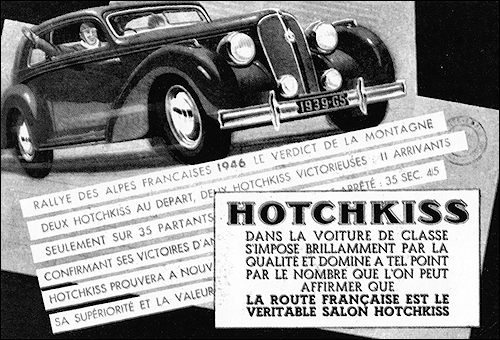 Accotding to French goverment five-year plan introduced in January Hotchkiss is permitted to produce small 2-ton lorries. 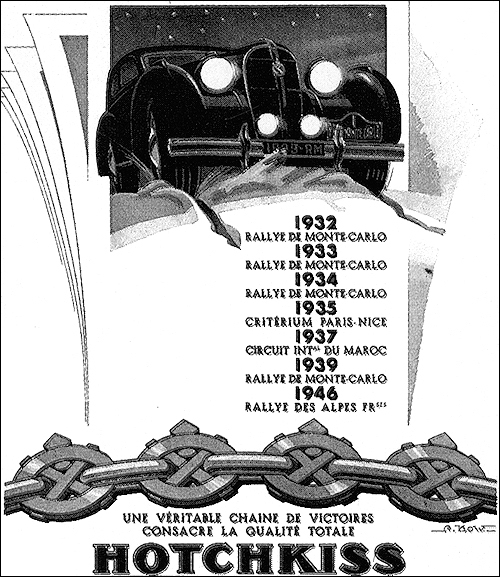 The company is included Peugeot group together with Ledesema and Saurer. 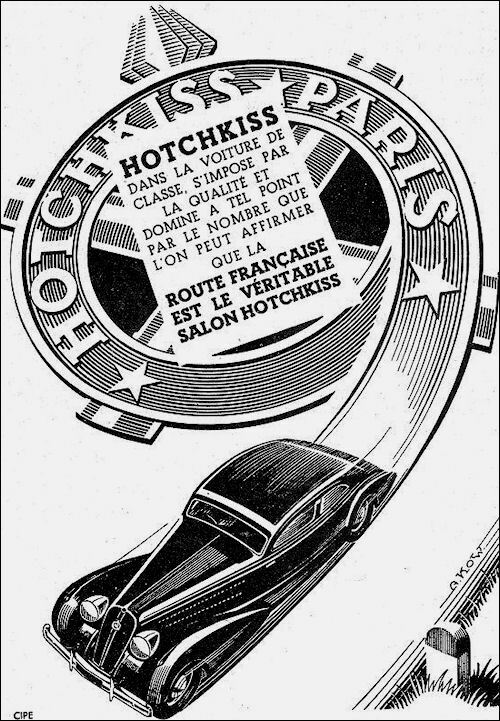 A few pre-war cars were exhibited at the first pot-war Paris Motor Show in October, incluiding convertible Monte-Carlo, but only saloon Cabourg entered production in very small numbers.